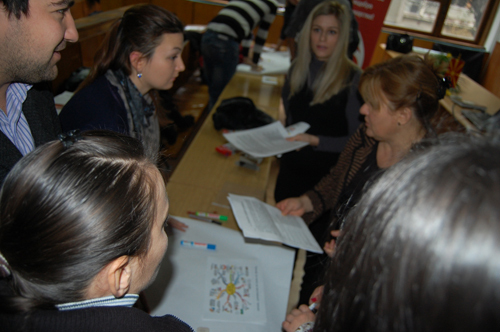 The second AgriBusiness Forum organized by AISEC Skopje and supported by the Faculty of Agricultural Sciences and Food was held on 18-20.12.2012. The aim of the three-day forum was to provide students with additional theoretical and practical knowledge related to their field of study and to generate active participation in lectures. Forum activities were supported by CeProSARD, participating with a presentation on “Energy efficiency and utilization of renewable energy sources in agriculture” on 19.12.2012 and an interactive workshop “Opportunities for farm savings by using renewable energy sources and improving the energy efficiency”, held on 20.12.2012.